My girlfriend and I were calling around to the animal shelters looking for a german shepard puppy. We talk to the animal shelter, but they didn't have a puppy but they did have a 2year old german shepard, so we went to the shelter and took a look the one we saw the sign said that she was going home. so we look further and in the corner in the cage was a german shepard named cajun. We looked at him he looked at us, and he walked toward the the cage door and put his head as close as he could so we could scratch his ears and we all fell in love!!!! We told the animal control agent that we wanted to adopt him. They told us he was a special needs dog. 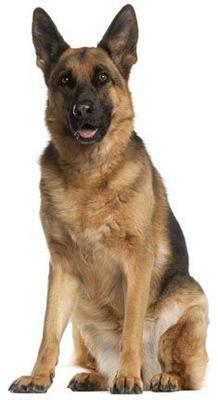 What they meant was the german sheperd was a houdini, he had let himself out of his cage and opened a closed door and almost made it to the lobby door before they caught him. A wonderful story! Shepherds are so loyal and protective. Congratulations on the new member of your family!